Where is Murman, and why do we call it “a coast of hope”? The Murman Coast extends eastward from the current Norwegian-Russian border. The area from the border to the Kola fjord is called Western Murman or Murman, while the coast from the Kola fjord to Cape Svyatoj Nos is called Eastern Murman. It is a common belief that the word “Murman” is a russification of the Norwegian word “nordmann” (Norwegian). In the 1860s the Murman Coast experienced a wave of migration from Finland and Norway. With the exception of the Sami, the Murman Coast was virtually uninhabited when the colonists settled there. 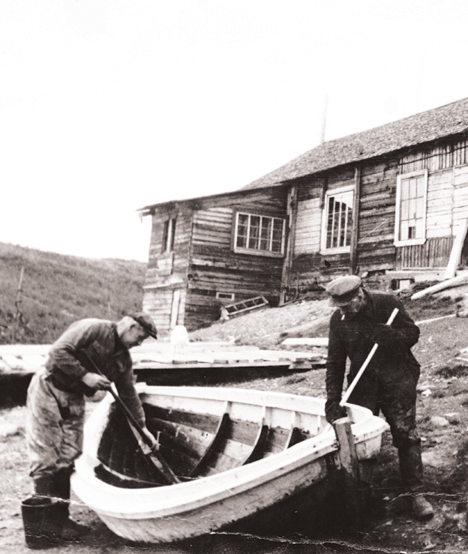 In addition to the Finns and Norwegians, many Russians (Pomors) and Karelians also settled along the coast in the following years. Uraguba became the main Finnish centre, while the Norwegians settled in Tsypnavalok. The Murman Coast appeared to be the coast of hope for many Finnish and Norwegian settlers from the 1860s. They hoped for a better life, or they wanted to try something new in this remote area. The Russian authorities wished to populate the coast, and in exchange for citizenship they granted privileges to the immigrants. What prompted Finns and Norwegians to migrate? And why was the Russian state so interested in populating the northern areas with people from Norway and Finland? How did the immigrants live and collaborate on the Murman Coast, and what contact did they have with their homelands? What happened to them during the large upheavals in Russia in the early twentieth century, and what became of them in the aftermath of these upheavals? The exhibition will give you some answers.